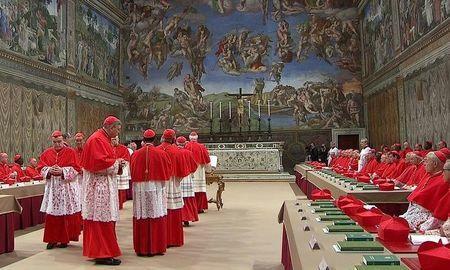 VATICAN CITY (Reuters) - Dust, sweat and carbon dioxide brought into the Sistine Chapel by a swelling number of tourists risk damaging priceless Michelangelo frescoes, the Vatican said on Wednesday, hoping a new air conditioning and lighting system will protect them. 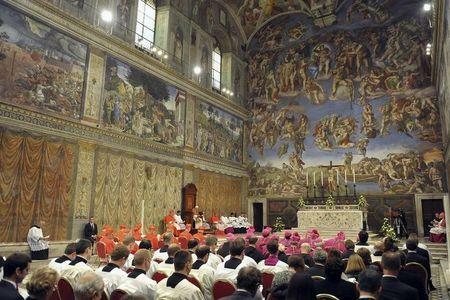 "Today, the Sistine Chapel risks being a victim of its own success," Paolucci, writing in the Vatican newspaper L'Osservatore Romano, said. "Six million visitors is an impressive number but objectively dangerous for the proper conservation of the frescoes," he said. "It produces a mix of dust brought in from outside, body sweat and carbon dioxide, which all end up on the surface of the frescoes and can in time harm them." 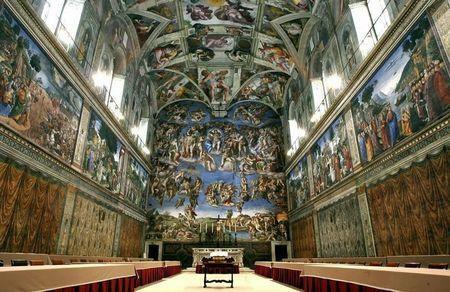 They also include the famous "Last Judgement" on the wall behind the altar, which the artist painted separately in 1535 and 1541.